The perfect riding experience happens only when horse and rider have bonded in mutual trust and understanding. Nothing tests this partnership like eventing, which calls for courage, speed, accuracy, and flexibility on the part of both animal and equestrian. Distinguish yourself in this strenuous mix of cross-country, dressage, and show jumping by attending this first-class "riding school", where you'll receive training in all the techniques needed to emerge victorious in competition. 96 pgs. Training program, interval training, dressage, vet inspection, types of jumps. 127 pgs. A step-by-step guide to improved horsemanship and greater riding pleasure, this book explains the principles of dressage and lists the equipment needed. There is a detailed description of lunging with coverage of developing good performance and preventing bad habits, while working a horse on the lunge line. The basic training of horse and rider is discussed in as close to chronological order as possible. 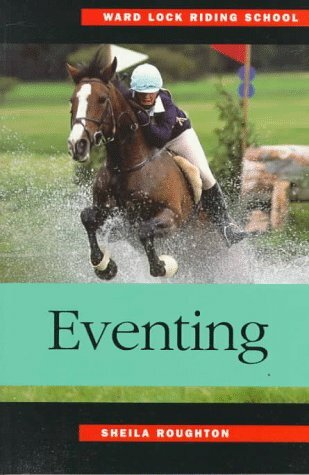 Twelveponies clearly explains training the riding horse from trail work to endurance riding, to reining, jumping and competitive dressage. 173 pgs. Explains basic foundations of dressage, requirements for correct training. 114 pgs. A comprehensive reference on dressage for the student, trainer or instructor. Includes excerpts from the works of numerous experts. 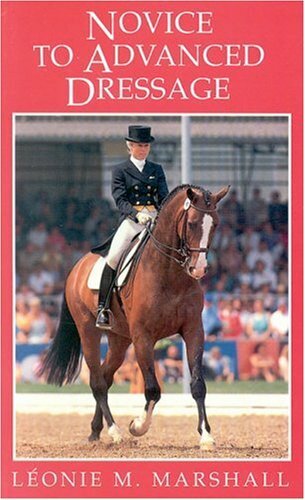 Follows in detail the 1987 tests of the American Horse Shows Association. The often baffling terminology is clearly explained and illustrated. Covers: Training level, first & second levels, bending, lengthening stride, halt. 292 pgs. It's a legended, historic, & unique land - the part of Piedmont Valley of Virginia called the Hunt Country of America. This book is the history, legends, and adventures of famous hunts, hunters, horses, manors & their squires throughout the Hunt Country. B/W photos. 247 pgs. Position of the rider, riders aids, work on the flat, work over fences (three levels of jumping), going to horse shows, & teaching suggestions. B/W photos. 193 pgs. Position of the rider, riders aids, work on the flat, work over fences (three levels of jumping), going to horse shows, & teaching suggestions. B/W photos. 215 pgs. An introdution to hunting which covers the organization of the sport, etiquette, preparation, turnout, travelling, and the rules of hunting. 96 pgs. 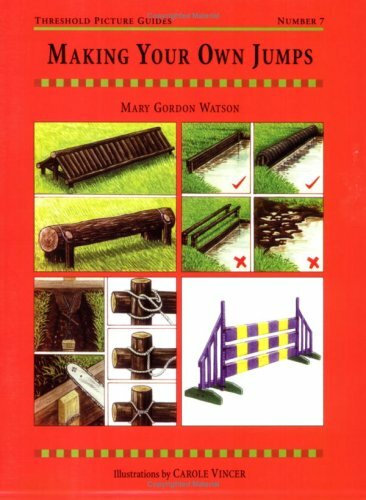 Written by an Olympic eventing judge, this valuable handbook explains the system of judging fences for cross-country courses: the rules, method of marking, duties of the fence judge. 112 pgs. Tells of the author's visit to 'Down Under' where, after first competeing in the Rome Olympics, she went via San Fransico and the beautiful Hawaiian islands on a tour of the horse shows in New Zealand and Australia. Her time was spent competeing in horse shows, visiting famous studs, driving hundreds of miles through the countryside and viewing the land, animals, people & their way of life. B/W photos. 211 pgs. Straightforward advice on how to safely negotiate a variety of cross-country obstacles. 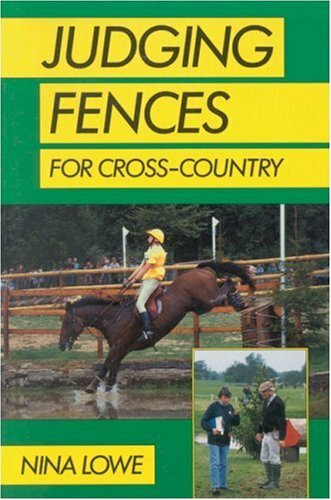 This title covers tack and equipment, walking the course, and solving problems such as open ditches, coffin jumps, water obstacles, combination fences, and jumping into darkness. 24 pgs. 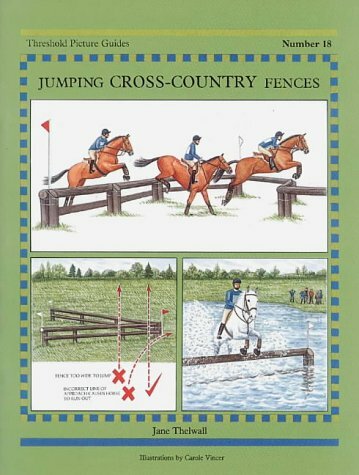 A step-by-step guide to building your own show jumps and cross-country fences. Types, construction, materials, ditches, banks, cross-country combinations, tools, maintenance. Color illustrations. 24 pgs. For each fascinating volume in the Masters of Equitation series, Martin Diggle has perused the literature of equitation, from Xenophon to the present day, and collected the views of leading authorities on a specific gait or movement. 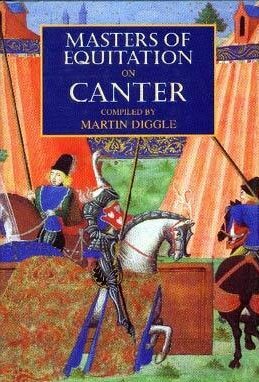 Masters of Equitation on Canter offers invaluable guidance to the correct introduction of the gait, with special reference to the future development of flying changes & other advanced canter work, & will fascinate all readers interested in equestrian history. 119 pgs. Traces the life of Milton from birth to present, an outstanding show jumper. Position, aids, lungeing, walks, trots, testing, tempo, rhythm, cadence. 135 pgs. Follows three riders on the jumping circuit for a year: Chope, Matz, Patton. 204 pgs. Choosing the right horse, management, flat & over fence training, X-country. 128 pgs. Leonie Marshall explains the requirements of the dressage judge and analyzes the problems faced by the competitor trying to succeed in dressage tests. 120 pgs. There is more to successful showjumping than the right conformation: enthusiasm and the right temperament, in both the horse and rider, are just as important in creating a partnership which really works. Judith Draper shows how that parnership is produced, by selecting the right horse and following a thorough training programme. She explains: how the horse is taught to jump; basic schooling; the use of simple practice fences; how to ride a course; show procedure; and travelling with the horse. 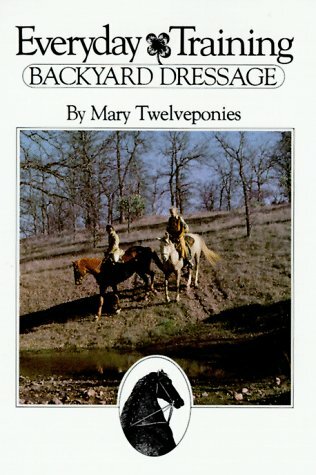 She also gives advice on equipment and clothing for horse and rider, and on caring for the horse both at home and away. B/W & Color photos. 112 pgs. Questions and answers relative to dressage. 54 pgs.